Stable angina pectoris is a clinical syndrome characterized by chest pain or discomfort that is secondary to myocardial ischemia and is without the clinical features associated with instability. Usually, stable angina is secondary to significant stenosis of the coronary arteries. 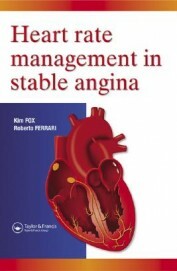 In short, stable angina is very much separate to myocardial infarction: stable angina is angina without the instability. With a prevalence of 20-40 per 100 000 in the adult population, the prognosis of patients with stable angina is variable and risk stratification facilitates the selection of treatment options. This text focuses on pharmaceutical therapies and should be a useful guide for clinicians.